Hello , Today Am Gonna teach you How To Subscribe To All Networks Night Data Plan. You can now subscribe to all networks data plan , all networks include:- MTN, Glo, AIRTEL And Etisalat. FOR MTN – This night plan is awesome, cheap and affordable. It can be used to browse on any devices. If you are the type that download heavily, you should option in for this night plan. With just 25naira, you would get 500MB to browse from 12:AM in the night till 5AM in the morning. Just go to your SMS message.Then send NIGHT to 131 and your night plan will be activated with just 25naira only.It valid from 12AM in the night till 5AM. 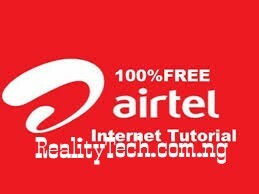 FOR AIRTEL – This night plan is one of the best night plans and Airtel users are really enjoying it to the fullest. They have two affordable night plans for their users which a heavy downloader and surfer has to choose from. The 25naira For 500MB and the 200naira for 1.5GB. So let’s see how to activate. Go to your phone dialpad.Then migrate to SmartTRYBE by dialling *312#and reply with 1 for migration.Then dial *312# again and reply with 3 for Trybe Night Browsing.You will then see the two Airtel Night Plans (25Naira for 500MB and 1.5GB for 200Naira). You can select anyone you wish to activate.It valid from 12AM in the night till 5AM in the morning and can be checked by dialling *140#. FOR ETISALAT – The fastest network in Nigeria. Their night plans are little bit expensive hmmm but the speed alone, would make you purchase more because speed is internet! With 200naira, you would get 1GB and the other night plan is just 50naira for 250MB. Go to your phone dialpad.Then dial *229*3*11# to activate 200naira for 1GBEtisalat data plan which valid from 12AM till 5AM.The second data plan can be activated by going to dialpad.Then dial *244*1# to migrate to Easy clique Tariff.Now dial *229*10*10# to activate 250MB for 50naira which valid from 12AM till 5AM. FOR GLO – Yea! We all know that Glo is the grandmaster of data plan but their network might be a deal breaker especially in some locations that experience low connectivity. However, Glo night plan can be used to download and browse on any devices that can access the internet. Meanwhile, they only have one affordable night data plan. With just 200naira, you would get 1GB data. Go to your phone dialpad.Then dial *127*60# to activate the 200naira for 1GB night data plan.It valid from 12AM in the night till 5AM in the morning. I hope you can see how very cheap the night plans of all the networks in Nigeria are? They are affordable and never zap. Don’t Forget To Share To Friends And Family.